We evaluated the influence of climate change and land use changes on water resources in the Marmara Region (Turkey) using the watershed runoff coefficients (RC) and trend analysis techniques on long-term (30 years) hydrometerological data. Land use changes in the selected sub-watersheds were obtained from CORINE land use maps for 1990, 2000, and 2006, and interpolated for annual changes. Forty-two land use types of Corine maps were grouped in four basic classes (forests, rangelands, farmlands, settlements). Principal component analysis was used to identify the most relevant land use types influencing RC since 1990. Results showed that changes in the proportion of forestlands, farmlands, and rangelands significantly affected RC. Settlements also affected RC, but to a lesser extent. RCs values for the different land use types were optimized on a subset of 28 out of the 48 sub-watersheds analyzed by minimizing the sum of least-square errors, while the remaining subset of 20 sub-watersheds was used to validate the models obtained. The R2 values for optimization and validation were 0.80 and 0.70, respectively. RCs of all watersheds were estimated for the period 1990-2012. Long-term trends in mean annual precipitation and temperature were examined by Mann-Kendall test based on time series from eight weather stations with records since 1930s. Contrasting significant trends of variation through time were found only for two stations as for precipitation, and for one station as for temperature. Overall, our results suggest that significant land use changes occurred in the region since 1990, but only slight variations in climate parameters. However, we conclude that neither land use changes nor the variation in climate parameters caused statistically significant effects on RCs and water resources. Urbanization pressures on the natural forests in Turkey: an overview. Urban Forestry and Urban Greening 6 (2): 83-92. Defining the ecological hydrology of Taiwan rivers using multivariate statistical methods. Journal of Hydrology 376: 235-242. Conservation practices for climate change adaptation. Advances in Agronomy 121: 47-115. Observed trends and future projections of precipitation and air temperature in the Lake Winnipeg watershed. Journal of Great Lakes Research 38: 72-82. Assessing the effects of urbanization on annual runoff and flood events using an integrated hydrological modeling system for Qinhuai River basin, China. Journal of Hydrology 464: 127-139. The rational method in stormwater management modelling of peak flow flood control systems. II. Computer program application. Environmental Software 4 (3): 130-135. Principal component analysis (2nd edn). Springer Series in Statistics, New York, USA, pp. 488. Impacts of elevated atmospheric CO2 on forest trees and forest ecosystems: knowledge gaps. Environment International 29 (2-3): 161-169. Rank correlation methods. Charles Griffin and Co., London, UK, pp. 202. Different patterns of climate change scenarios for short-term and multi-day precipitation extremes in the Mediterranean. Global and Planetary Change 98-99: 63-72. Hydrological response of a catchment to climate and land use changes in Tropical Africa: case study South Central Ethiopia. Journal of Hydrology 275 (1-2): 67-85. The combined impact of land use change and aquaculture on sediment and water quality in oligotrophic Lake Rupanco (North Patagonia, Chile, 40.8 °S). Journal of Environmental Management 128: 283-291. Nonparametric tests against trend. Econometrica 13: 245-259. Assessing the impact of urbanization on storm runoff in a peri-urban catchment using historical change in impervious cover. Journal of Hydrology 515: 59-70. 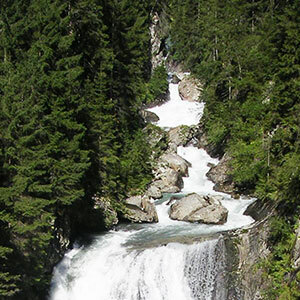 Climate change in the Fraser River watershed: flow and temperature projections. Journal of Hydrology 263: 230-244. Impact analysis of climate change on water resources. Procedia Engineering 24: 643-648. Turkey’s fifth National communication under the UNFCCC. The Ministry of Environment and Urbanisation, Ankara, Turkey, pp. 290. Climate change analysis of precipitation data for North Rhine-Westphalia. Atmospheric Research 109: 1-13. Climate change scenarios for temperature and precipitation in Aragón (Spain). Science of the Total Environment 463: 1015-1030. Assessment of land use and water management induced changes in flow regime of the Upper Narew. Physics and Chemistry of the Earth Parts A/B/C 36 (13): 662-672. Changes in chemical and physical properties of stream water across an urban-rural gradient in western Georgia. Urban Ecosystems 8: 107-124. An integrated framework to restore small urban watersheds. Small Watershed Restoration Manual Series, Manual 1, Center for Watershed Protection, Ellicott City, MD, USA. Regional climate change projections and hydrological impact analysis for a Mediterranean basin in Southern Italy. Journal of Hydrology 399: 70-92. Alteration of stream nutrient discharge with increased sedimentation due to thinning of a deciduous forest in Istanbul. Forest Ecology and Management 246: 264-272. Conversion to pine: changes in timing and magnitude of high and low flows. Scandinavian Journal of Forest Research 26: 568-575. Stream corridors as indicators of watershed land use: a case study in Istanbul. Bosque 33 (3): 345-352. Agricultural landscape pattern changes in response to urbanization at ecoregional scale. Ecological Indicators 40: 10-18. Effects of land use change on surface water regime (case study Orumieh lake of Iran). Procedia Environmental Sciences 2: 256-261. Effects of land cover on runoff coefficient. Journal of Hydrology 410: 226-238. Impact of urbanization on flooding: the Thirusoolam sub watershed - a case study. Journal of Hydrology 412: 210-219. Downscaling of precipitation for climate change scenarios: a support vector machine approach. Journal of Hydrology 330: 621-640. Combined impact of climate and land use changes on streamflow and water quality in eastern Massachusetts, USA. Journal of Hydrology 379: 268-283. Multi-model ensemble projections in temperature and precipitation extremes of the Tibetan Plateau in the 21st century. Global and Planetary Change 80: 1-13. Isolating the impacts of climate change and land use change on decadal streamflow variation: assessing three complementary approaches. Journal of Hydrology 507: 63-74. The relationship between land use and surface water resources in the UK. Land Use Policy 26S: S243-S250. Assessing biodiversity and conservation value of forest patches secondarily fragmented by urbanisation in semiarid southeastern Spain. Journal for Nature Conservation 22 (2): 166-175.